5 stars - "Epson WorkForce WF‑7515 All-in-one InkJet Printer with CISS" by Xavier Iden, Written on 2012, 11:50/08/15 This CISS is just miracle. Have never used more economizing and great device. 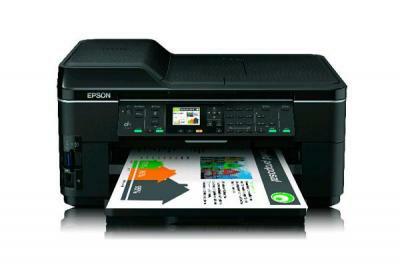 Buy Epson WF-7515 with CISS and make 30 times more quality prints for the same money! Pay only 0.04 USD for A-4 full color imprint! The multifunctional device from the world famous company Epson is called Epson WorkForce wf-7515 and this is an inkjet printing machine of A3 + format for the use in small and medium-sized business. The multifunctional device has the widest functional features: copying, scanning, sending information by fax, as well as color and black and white printing. The inkjet printing machine is equipped with CISS. 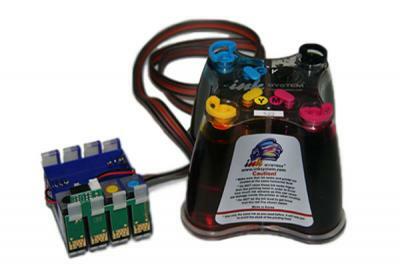 This is very convenient and cost-effective system of ink supply to the device. To buy the proposed model with CISS вЂ“ means to make profitable investment for running personal business, as well as to create your own mini photo lab. 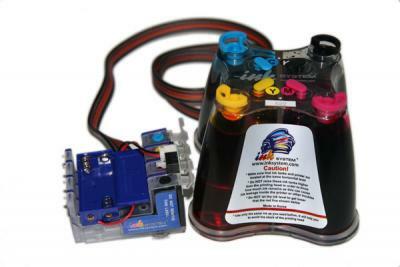 This inkjet printer is very simple and easy to use, so it can be recommended for amateurs, students and just ordinary users. Due to the wide functionality of printing capabilities the device established itself as an indispensable tool for high-quality and economical printing in office, photo lab and publishing center. It can help you to solve any problems in processing and printing photos, advertising and publishing products and any other office documents. The proposed functionality is significantly different from the similar devices in the series. First, it differs with its compactness, efficiency and best price. The MFP Epson wf-7515 allows you to get high quality printing comparable to laser printers. If you decide to purchase a multifunction printer (MFP) WorkForce wf-7515, then you have the opportunity to do it quickly, easily and affordably. To do this, you need to make order and connect to our managers. By the way, the price for this model of a functional printer is much reduced now. If you have any questions on our model, our consultants will give you the necessary information. In addition, you get completely free useful advice for the care of equipment, as well as its reliable operation. To buy the offered functional unit with CISS вЂ“ means is to get the maximum device performance at minimum cost. MFP Epson WorkForce wf-7515 price is capable of economical printing due to the use of CISS from INKSYSTEM. 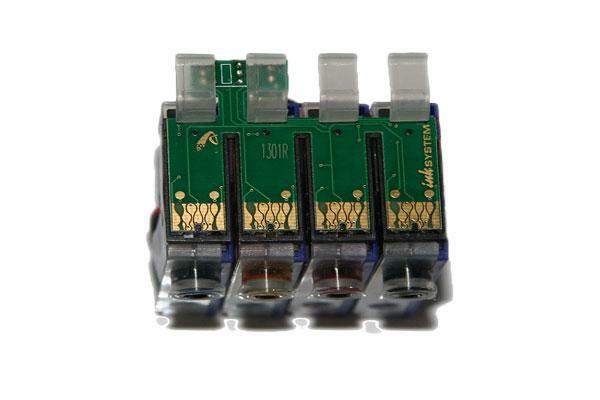 What is the advantage of CISS in contrast to original cartridges? Buying a printer with a built-in ink supply system, you will need to pay more for the cartridges no longer. 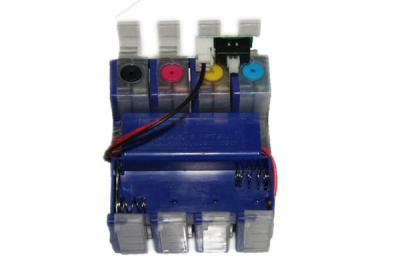 The price for the ink of the same volume is significantly different from the cartridges. Then, whether is it worth to overpay? All that you need вЂ“ is to fill the ink into a special container. By the way, the filling process can be carried out during the operation of the device, what is very necessary in some cases. With the purchase of Printer Epson WorkForce wf-7515 from Epson with CISS, you get a professional level of finished products, low cost printing of any format in color and black and white modes. By the way in our online shop a wide range of printing equipment from the manufacturer Epson is offered. You can also buy photo printer Epson wf-7515 similar to the proposed model for a very reasonable price! Also be sure to check the similar models of printers Epson WorkForce WF-7015 and Epson WorkForce pro wp-4025dw, which are also recognized leaders among our users on their quality characteristics. This CISS is just miracle. Have never used more economizing and great device.